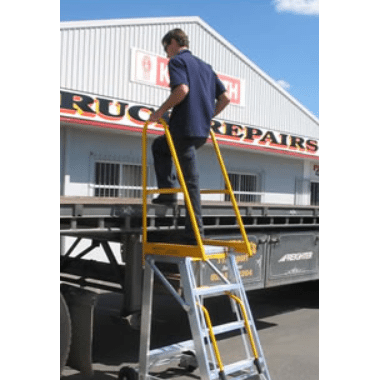 Truck Access Platforms are a Safe means to Access Truck Trays for Loading and Unloading purposes. No more climbing up the sides or jumping down from the tray (as both have a great potential for injuries to occur). 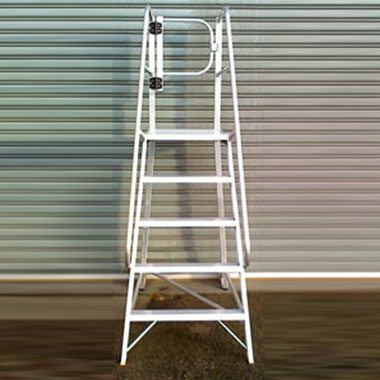 Little Jumbo Ladders manufactures Fully Welded Truck Access Platforms to suit at our Braeside Factory. 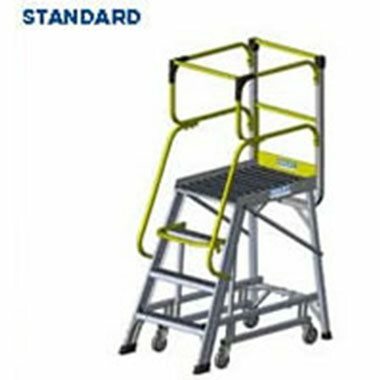 We also sell the Stockmaster™ Step-Thru range which are a Riveted & Bolted Solution as well as the Ladderweld Access Platform range which are a Welded & Bolted Solution which can be configured as a Walk-Thru.